I've been obsessed with Jamie's 15 minutes meals recently. 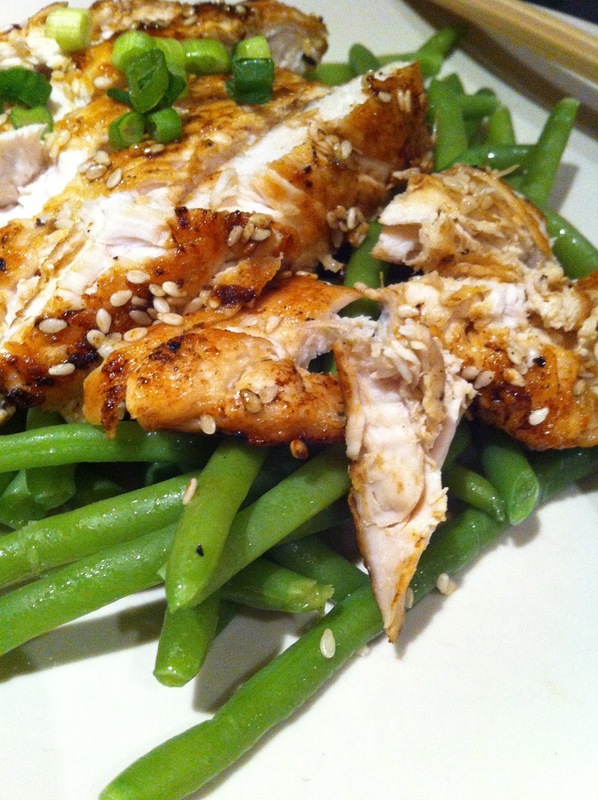 Fast food, but healthy food. I seem to have no sense in planning my meals, I'm either spending ages planning a meal and waiting around to get hungry or just in a complete rush and end up having something crap to eat like a pasty. This wouldn't be so bad if I'd made them myself and froze them or something.. (hrmm maybe I'll give that a go actually!) But if you didn't already know, most store bought pasty's can hide up to around 30g of fat per pasty. Yeah! If you've been following my twitter then you'll know I've been walking a lot recently and it's so painful to feel refreshed and fit then eat something greasy and well not that flavourful. This trick I got from watching Mr Oliver. It's something I maybe wouldn't do to every meal! But it's just amazing for a faster cook. 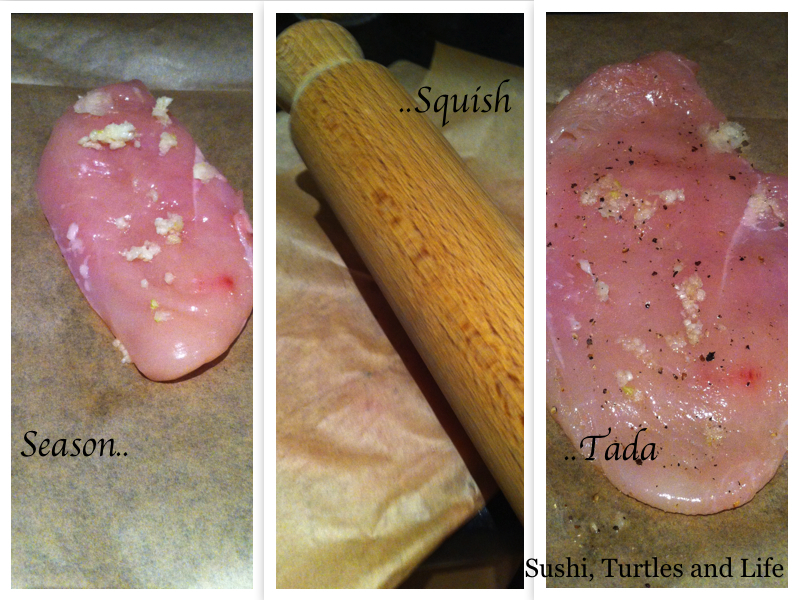 All you need to do is season your chicken, this time I've taken some breast. Lay down some grease proof paper and fold it over with the chicken inside. Get a rolling pin and give it a bash then you've got a flattened breast. Which is now more tender and with a larger surface area so.. it's going to cook pretty quickly. 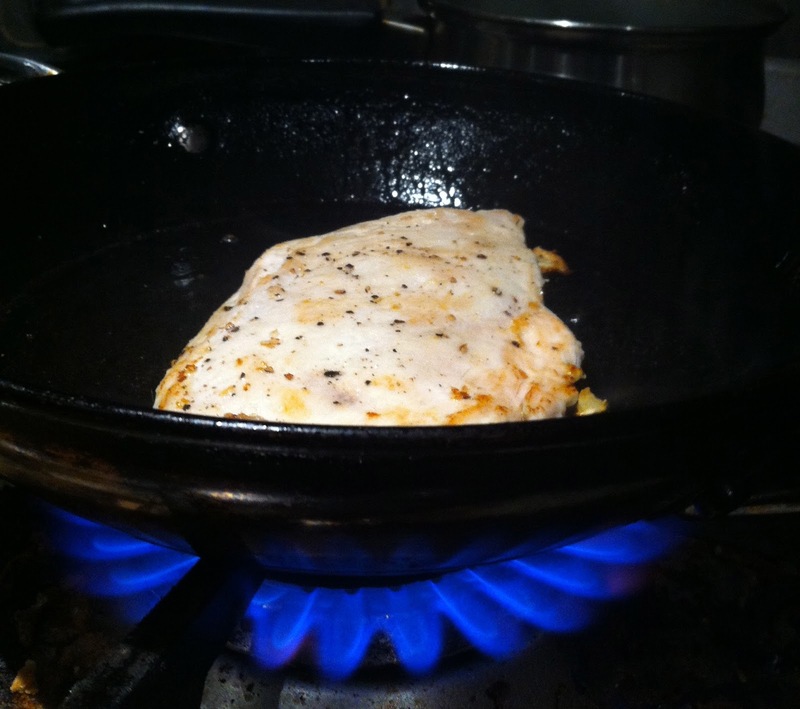 The chicken should need about 10mins in a hot frying pan. I just poured over some jerk sauce from a bottle, in the pan while it was still hot and sprinkled over some sesame seeds. 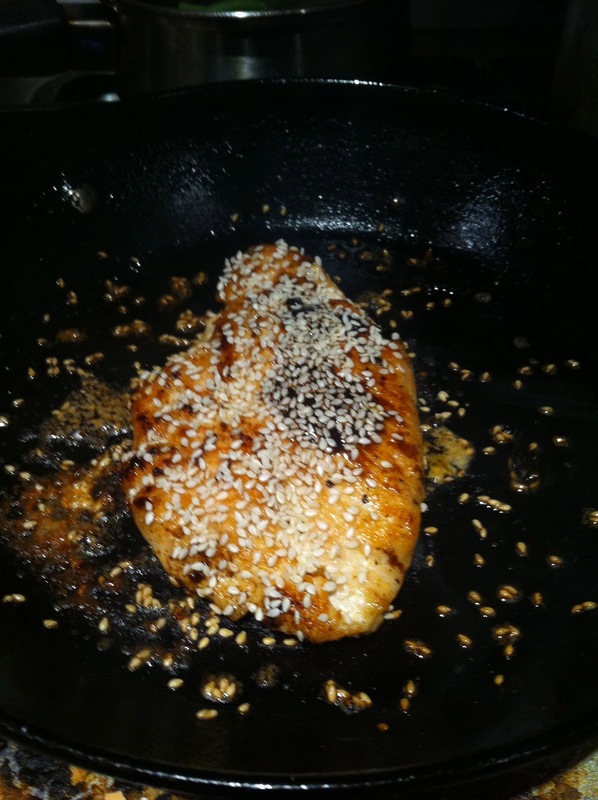 This made it all sticky and got the sesame stuck to the meat. 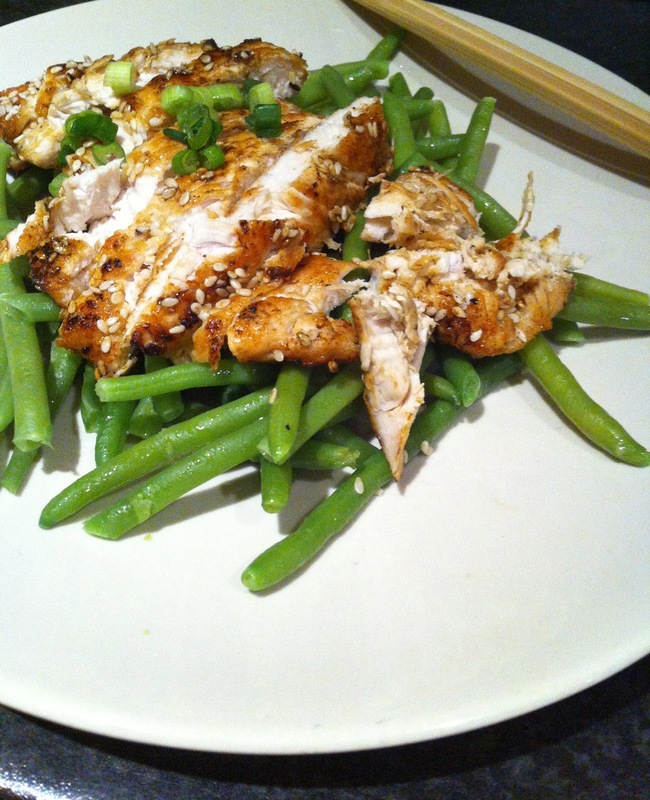 Then layered my chicken over some boiled green beans and done! More fast recipe meals :) here and here.